Ok, enough of my gushing, let’s get down to the details. This is a perfect stop off for any sweet gift you may need, either for yourself or others. 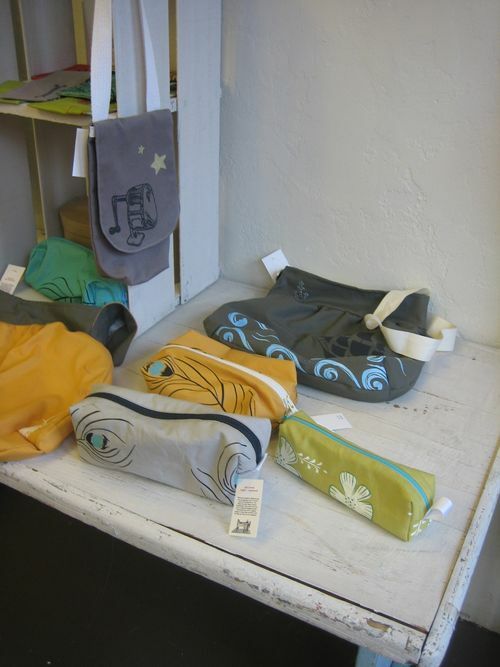 Hand silk screened or painted or drawn note pads, clothing, bags, cards, even sushi pin cushions! 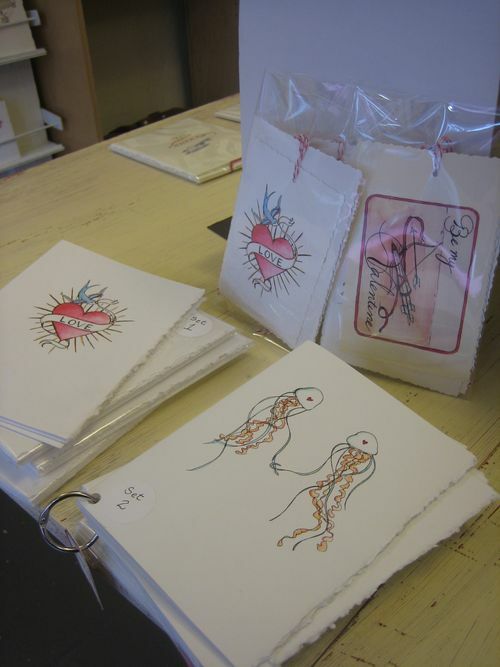 They are stocked with Valentine’s cards, a few shown above. Mel and Paul are often working on something whenever I stop in and it’s always fun to see what they’re doing. I love how personal this store (and many of them on Alberta) is, that you can see the items come to life right in front of you. There’s always something new to find in this little gem of a store. Treat yourself or someone you love this Valentine’s!